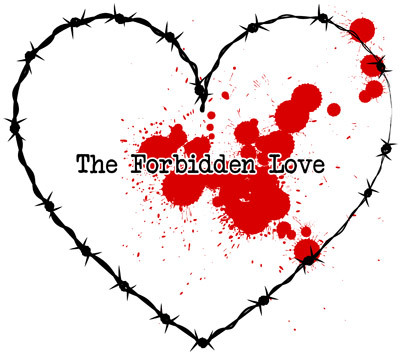 Forbidden love | What's love got to do with it? Forbidden love – What's love got to do with it? Recently, one of my friends told me her man’s best friend started to hit on her. In fact, she’s been separated from her man for six months, but the separation is temporary and both hope they will come back together when things get easier in their life. Her man’s best friend knew that. He also knew he couldn’t try anything with her. His best friend warned him about this. It’s been two months now that this guy has been telling her he loves her, that she’s the one for him, that she should leave her man for good and pick him instead. She told me that if she didn’t date his friend, maybe he wouldn’t be interested in her at all. Who knows? It’s true that when we are forbidden to do something, it’s really tempting to cross the line. By forbidding his friend to hit on my friend, her man designated him explicitly my friend as a catch. There’s also a sense of rivalry in this case. I don’t know really well my friend’s man and his best friend, but from I heard about them, there was always a competition between the two. Before she met him, her man was the one who got the most lucky with women, while his buddy usually dated his leftovers. His business is also more successful than his. And he was raised in a loving family, while his best friend grew up torn between two divorced parents who kept on fighting with each other. In College, her man was also the one who got better grades. But this dynamic isn’t necessarily only a man’s case. When I was in High School, two of my classmates who used to be BFF were also in that same competition. One was blonde, the other’s a brunette. And the first one was more popular than the other, especially with boys. They were also competing to get the highest scores in our class. Well, not the highest in our class, but the highest between the two… They were fighting a lot, especially when they both preyed the same hottie. When we finished High School, they became frienemies. The brunette managed to get the guy her friend was in love with, but couldn’t have. This makes me think: does love rise from contradiction like that? As Somerset Maugham said, the things we don’t have matter more than the one we possess.